Arriving to our hotel at Sylt! Whether by air, water or land, there are a number of options for you to reach this beautiful northern German island. The island can be reached quickly and cheaply by train, ferry or plane. Guests arriving by car can also easy get to the island and to the Strandhotel Sylt in Westerland. You can reach the island of Sylt in Germany quickly and cheaply without problems. For example, you can reach Sylt from Munich in only 1.5 hours. Without long journeys, travelers can quickly arrive to the island to recover from everyday life. Enjoy the unique atmosphere on Sylt! Nature conservation has a particularly important role on the island of Sylt. The journey by train is an environmentally friendly way to get to the island. The 11 km long Hindenburgdamm connects the mainland of Schleswig-Holstein to the North Frisian island of Sylt. The Dam serves exclusively for the transport of railway. Each day, over 100 trains pass over the Hindenburg dam towards Sylt. In addition to Deutsche Bahn, passengers can also use the regional trains of the DB Regio passengers. Every day DB Regio trains from Hamburg Altona via the stations Elmshorn, Itzehoe, Heide and Husum travel towards Sylt / Westerland. At almost all stations a special-entry for wheelchair users or those traveling with a stroller is possible. 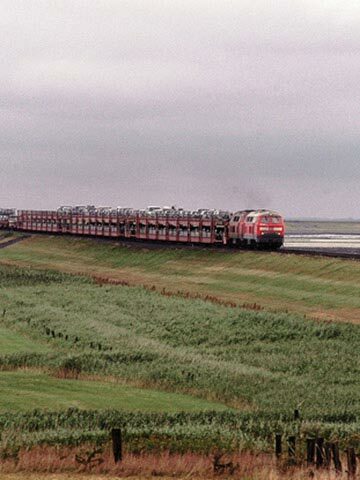 The air-conditioned and spacious trains bring travelers quickly to the island of Sylt. The 238 km journey from Hamburg to Westerland takes only three hours with the DB Regio. The Deutsche Bahn also offers practical direct lines from many cities in the direction of Sylt. If you arrive by car or motorcycle, but do not want to bring your car to the island, you can easily park on the mainland in Klanxbüll. Without a reservation you can also rent convenient covered, parkingwith video-surveillance. Then you can travel comfortably from Klanxbüll station to Westerland in about 20 minutes. Once you arrive at Westerland train station, taxis, rental cars or buses are available. Guests of the Beach Hotel Sylt can reach the hotel quickly and easily. In addition to the DB Sylt Shuttle, since autumn 2016 the Autotrain Sylt has offered the crossing to the island of Sylt. The blue car train runs between Niebüll and Westerland and transports up to 80 vehicles. The Autotrain newcomer of the company RDC Germany transports inmates and vehicles in about 35 minutes, over the Hindenburg dam, to Sylt. During the crossing, the passengers enjoy a great view of the Wattenmeer, from their vehicle! This is the perfect place to relax and explore the island by car. For cars and small vehicles, up to 2,70 meters high and 2,20 meters wide, a permissible total weight of up to 3,0 t is valid. The individual trip currently costs 49 euros. The return trip (only on Tue, Wed and Thu) costs 81 euros. On the remaining days the price for the round trip is 89 euros (as of January 2018). Click here for the current timetable of the Autotrain Sylt. To travel with the Autotrain Sylt, you have to enter the tracks 9 and 10 at the terminal in Niebüll (far right). In Westerland, on Sylt, you enter track 1 (far left). At the loading station, you will, of course, be assisted by service staff. If you wish to travel by car or motorbike, you can also do so. With the Sylt shuttle, from Deutsche Bahn, you can reach the island quickly and easily. 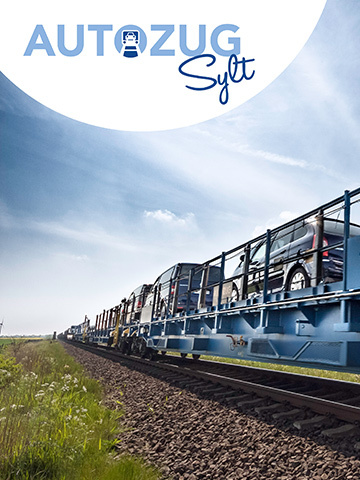 By car train, cars, trucks or caravans can be transported to the Sylt island. In Niebüll is the terminal, which is very easy to reach by the motorway A7. Various signposts point the way to the loading terminal. It is paid per vehicle, so the price is not dependent on the number of travelers. All vehicles up to the length of 6.00 m, without trailers, can be transported this way. The vehicle has a permissible total weight of up to 3.0 t. A single trip currently costs 54 euros, travelers can get a return trip ticket for 96 euros (as of January 2018). For all of you, who want to contribute something to the Sylter environmental protection, there is a ticket cooperation with the foundation Küstenschutz Sylt. For additional 1 Euro on the regular ticket price, you can help to save the beautiful coasts of Sylt island. In this way, you contribute to keeping the most beautiful north sea island. 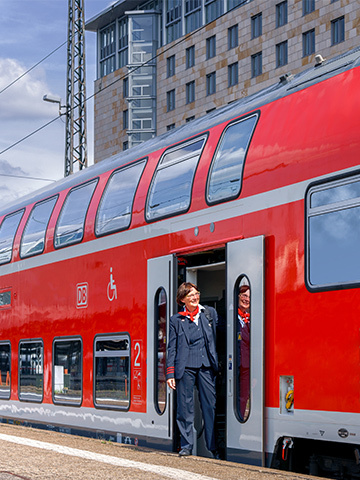 In order to start your holiday relaxed, Deutsche Bahn offers the possibility to book the tickets in advance, online. Arriving by car on the island, the Strandhotel Sylt can be reached very quickly, in about 5 minutes from Westerland station. We offer our guests an exclusive service! In our in-house, underground car park, our guests can comfortably park their vehicles. The direct access to our hotel provides a particularly comfortable arrival. Do you want to avoid the exhausting traffic jams on the motorway, or the journey by train takes too long? Then simply fly to the island of Sylt and enjoy the beautiful view from above! Sylt has its own airport, which is used by more than 200,000 passengers every year. So, travelers can also travel from far away quickly and comfortably to the island. Sylt Airport is located in Tinnum, just two kilometers from Westerland. It has two terminals in order to enable the traveler to travel quickly. At the airport, the “Kolibri” restaurant is open for hungry travelers until late in the evening. For wheelchair users, with disabilities and mobility restrictions, wheelchairs are, of course, provided for carriage. The “Sylt-Air” flies daily, from the airport Hamburg to the Sylt island. 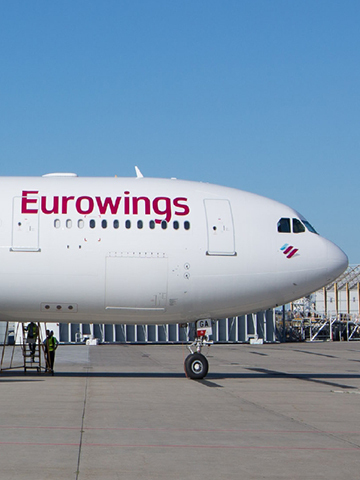 The airline “Eurowings” flies to Sylt from many German cities, so our guests can reach the island from all over Germany. So the deserved relaxation starts already during the journey! Due to different utilization rates, the sooner you book, the more attractive offers you get. We advise you to book early enough to get to the island and enjoy the beach at the Strandhotel Sylt. When you arrive on Sylt, you can take advantage of various options to explore the island. Various car rental companies offer attractive offers for you. The provider “syltmietwagen.de” offers cheap round trip packages with an option of car return at the airport or train station. In addition, taxis are waiting for you at Terminal 1. The journey as a unique experience: Travel to Sylt by ferry, quickly and comfortably! The journey by ferry is certainly a nice experience! The SyltExpress ferry departs from the Danish island of Rømø in the direction to Sylt / List. Since the journey by ferry is cheaper than the car train, it is often worth to detour via Denmark. The free causeway on the island of Rømø will take you to the ferry. The ferry can carry maximum of 600 passengers and up to 76 cars. To pass the time during the trip, the passengers can enjoy Danish and international food in a restaurant at reasonable prices. There is also a small shop on the ferry, which has an extensive assortment. This means that the passengers can spend their time, during the 35-minute crossing, on the free decks and enjoy the fresh northern air. The price for a passenger car, including travelers, is from 70,00 Euro, for round trip (current: October 2015). 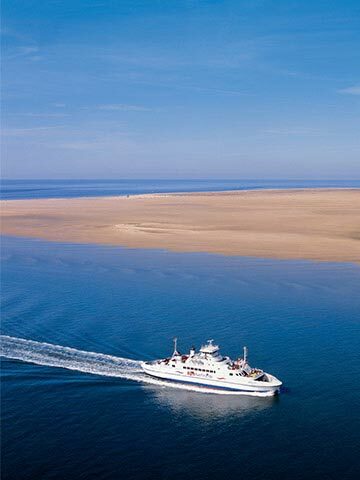 Of course, trailers, caravans, mobile homes, two-wheelers or buses can also reach the island of Sylt by ferry. You can get especially favorable prices by booking online on the “Syltfähre” website. There you can save up to 20% on a car ticket!